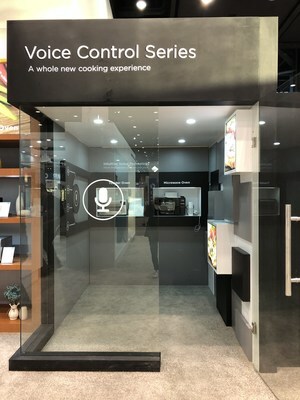 CHICAGO, March 14, 2018 /PRNewswire/ -- Leading consumer appliances manufacturer Midea has exhibited its latest kitchen and home appliances at the 2018 International Home + Housewares Show (IHHS 2018) in Chicago, highlighting the company's latest innovative products, including intelligent kitchen helpers such as voice-controlled microwaves and toaster ovens, double-drawer dishwashers. 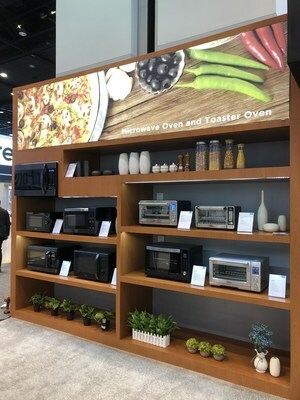 "We are excited to have been able to showcase our user-centered achievements in smart home technology and product design at IHHS 2018," said Oscar Guo, Director of Marketing, Overseas Sales & Marketing Department of Midea's Kitchen Appliances Division. "We believe that the growing ability to enable man-machine interaction is driving the evolution of the home appliance industry. Midea's focus in 2018 will continue to be on integrating smart home and intelligent manufacturing strategies into everything that we do." Oscar continued, "Midea Kitchen Appliance Division has envisioned an ideal future kitchen and we are revolutionizing cooking by emphasizing five core functionalities -- food, health, interactivity, efficiency and all-around service with the goal of enabling a high-quality lifestyle that's intelligent, healthy, convenient and environmentally-friendly." 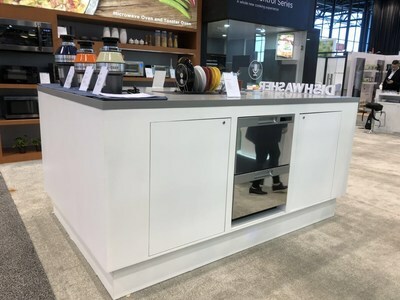 A star product at IHHS 2018 was the voice-controlled microwave oven TM131MA5-PVHA00 that allows for a whole new way of cooking. Equipped with a Chipintelli & Conexant voice chip, the microwave oven's voice-activated control offers a highly convenient, fun and hands-free experience. Users can simply ask the microwave to open the door, put the plate on the tray, say the dish they wish to make, and the automatic cooking module will then start working. Its program features 60 classic recipes for users to choose from. Midea's double-drawer dishwasher line also attracted much attention. With stainless steel lining that prevents mold and mildew, and a sleek design that can fit into any modern kitchen, the water- and energy-efficient model WQP12-9501A includes seven programs to accommodate any household needs, including an express wash cycle option that can finish a task within 30 minutes. The model also features double air blower and adjustable cup holders for easier access. "Built-in kitchen units and solutions have become the demand growth driver of the home appliance sector. We are pound of our dishwasher line, as it not only represents innovative technologies, but also satisfies consumer needs," Oscar added. Midea Kitchen Appliance Division is affiliated to Midea Group, one of the largest household appliance manufacturers in China. Founded in 1968, Midea is one of the world's largest kitchen appliance suppliers with annual sales revenue exceeding US$23 billion, the world's No.1 major appliances manufacturer according reported by Euromonitor, and is the world's No. 1 microwave oven and No. 3 dishwasher manufacturer. It operates three production bases and two R&D centers in China in addition to a production base in Belarus and R&D centers in Bologna, Italy and Louisville, Kentucky. For more information, visit Midea at www.midea.com and www.midea.com/global.